Ryan Kruesi has been working with Continental in the USA since the launch of our latest cruiser range in late 2016. 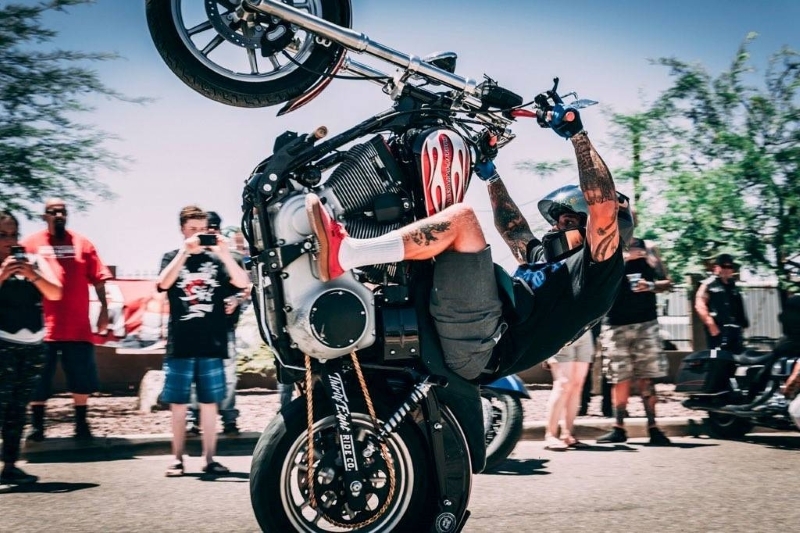 Owner of Kruesi Originals, a respected custom bike builder in the city of Pheonix, Arizona, Ryan is also a professional stunt rider, and has appeared in two promotional videos for Continental, one alongside Stephanie Pietz. A leader in the American club style Dyna scene, which Ryan got into about 8 years ago, he doesn’t limit his work to just Harley-Davidson Dyna models. “We work on Softail, Dyna, Touring and Sportster models – anything we can get more performance out of” comments Kruesi, who sees a big future in the performance Harley sector. While most stunt riders start out on a sportsbike, Ryan started to learn his trade on a Harley just 5 years ago. 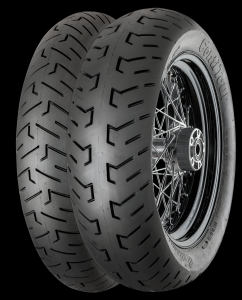 More recently, he’s been checking out the performance of our ContiTour cruiser tyre, with it’s latest Mileage Plus compound. Check out some of Ryan’s latest builds on Instagram at @KruesiOriginals. With a whole host of additional sizes coming this year, you can check out the full ContiTour range here. This entry was posted in News and tagged ContiLegend, ContiTour, Harley Davidson. Bookmark the permalink.